To know RC hobby batteries, at first, we would like to know the world of RC. 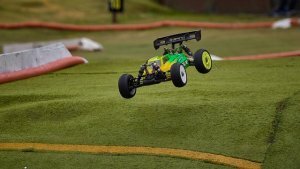 Have you ever seen the RC racing which is full of the great speed and passion from computer or television? The RC hobbyist cheers for every victory and tenses for every challenge, which would deeply affect everyone who contacts the ratio control model. 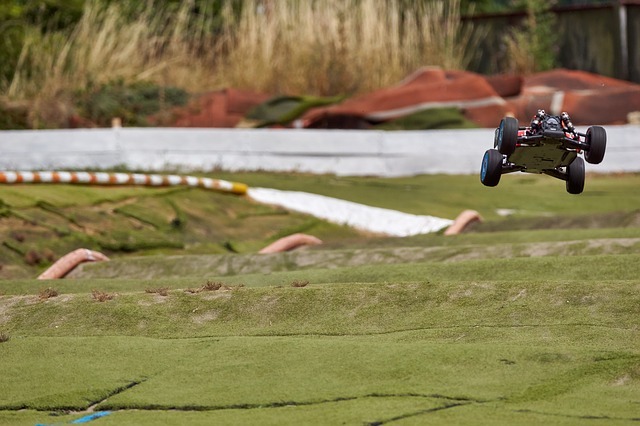 The RC hobby is in a specialized and magic world that can let people play together racing their RC cars with high performance and meet a bunch of like-minded people. But if hobbyists want their radio controlled vehicles to have high performance and be the fastest, they would need to make sure the good performance of RC battery. 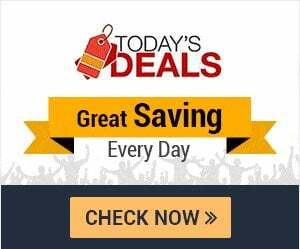 Therefore, what kind of RC hobby batteries can we choose? 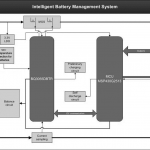 There are three normal types of batteries worked for power electric models on the market: Nickel-Cadmium (NiCd), Nickel-Metal Hydride (NiMH) and Lithium Polymer (LiPo). These kinds of batteries are named after their significant chemical materials, which converts electrical energy into kinetic energy. NiCd batteries: Invented in 1899, it is a type of traditional and rechargeable battery and rapidly eliminated by the market in the 1990s. NiCd battery is manufactured at the low cost, but has low voltage and memory effect, as well as isn’t beneficial to the environment. Now it can only be found in some cheap suit-driven cars. NiMH batteries: With hard and durable nickel-metal packs, NiMH battery is inexpensive and needn’t take so much special care. In AA and AAA batteries, it is definitely the mainstream, but in radio controlled models batteries, would be not so suitable at all. It features heavy weight in contrast to lipo battery with the similar voltage and capacity. Furthermore, its voltage reduces continually while the battery packs discharge and RC vehicle would be increasingly slow when it starts. LiPo batteries: Derived from lithium-ion and lithium-metal batteries, Lithium polymer battery has gained its popularity in the world of R/C. Without memory effect, it has light weight and low self discharge rate. This is one of the most prominent advantages of the battery. Generally, the self discharge rate can be less than 1% per month, which is the 1/20 of the nickel hydrogen battery. 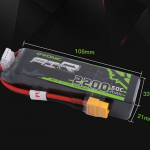 Moreover, lipo battery features large capacity, which can hold more power inside and let the RC car full of energy racing faster. Lipo keeps a steady voltage and would not be changed in the run of RC car. It’s very suitable for remote control cars. Hence, the lipo battery would be strongly recommended to RC hobbyist. 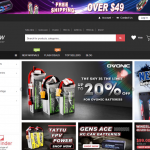 On the market, there are many excellent lipo battery brands, such as Gens ace, Tattu, Team Orion, Dynamite, and Turnigy, etc. In the establishment of 2009, Gens ace and Tattu are reliable and widely used in radio controlled models and UAV, which are dedicated to offering high-performance batteries and ensures fast shipping, local pickup, and customer service because of US-based warehouse. Nevertheless, The shortcoming of lipo is its high price ( lipo battery is more expensive than NiMH and other kinds) on account of expensive materials and new technology. The RC hobbyists who are prone to the low cost can consider Ovonic lipo batteries. They are one of the few battery brands with low price and maintain their supreme quality and satisfactory service at the same time.